A Positron Emission Tomography/Computed Tomography (PET/CT) scan reveals information about the structure and function of both cells and tissues in the body, which can help physicians identify normal and abnormal states. As in traditional nuclear medicine, PET/CT uses radiopharmaceuticals or “tracers”. These isotopes mimic sugars, water, proteins, and oxygen. 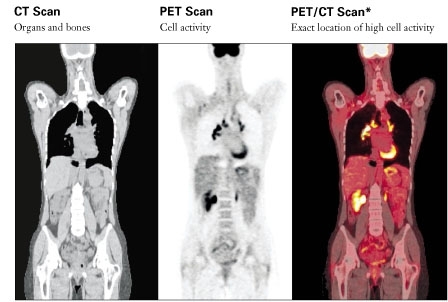 As a result, PET/CT can often reveal more about the cellular-level metabolic status of a disease than the CT or MR. PET/CT can help diagnose a disease often before it shows up on other diagnostic imaging tests. 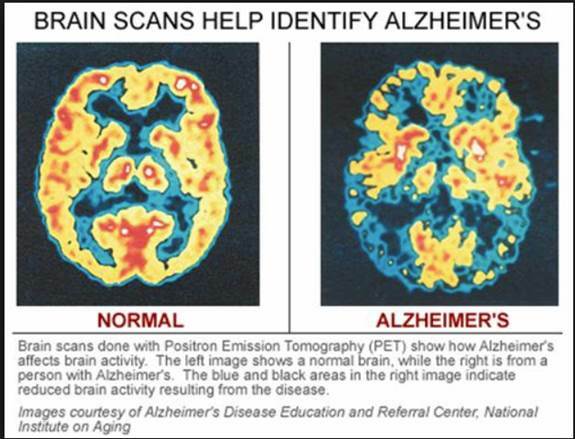 PET/CT can also show the progress of a disease as well as how the body is responding to treatment. By combining information about the body’s anatomy and metabolic function, a PET/CT scan provides a more detailed picture of cancerous tissues than either test does alone. The images are captured in a single scan, which provides a high level of accuracy.